My 1809 Spaniards now have a total of 5 light cavalry regiments - 2 of hussars, 2 of cazadores and 1 which is sort of another cazadores unit. Now the dreaded Creeping Elegance rears its head once again. Problem is that 4 of these regiments were produced for me by the excellent Pete Bateman, using conversions of Hinton Hunt French cavalry, and the remaining unit of hussars very definitely was not - it is so far inferior to the Bateman regiments that I have vowed to try to replace it whenever possible. I have been in contact with Peter, who is not in a position to do anything for me at present, but we have established that I need to drum up some suitable figures - we have some, but not enough. I need some Hinton Hunt FN317 - French Hussar in Mirliton cap - the official HH horse to go with this is FNH7. I probably need up to about 8 of these, but any odd figures - painted or otherwise - would be of interest. If you have any such chaps that you could spare, or would like to sell me, could you please get in touch? Send a comment (which I won't publish, if it is not appropriate) or email me at the address in my profile. Since these will be converted and painted as Spaniards, I'd prefer not to import collector-standard pieces! Last time I asked for help with raising troops I was looking for S-Range Minifigs Spanish infantrymen for 1812, and I was so successful in obtaining reinforcements that my 1812 Spanish army is now large and formidable - well, large anyway. All help will be very welcome! I've none I'm afraid. Does old John run to any? Tony -sadly I have none although I would if I could! On a somewhat related topic (maybe not so much but) have you explored Newline Designs 20mm metal Napoleonics line? I see they released Spanish dragoons in bicorne, charging. 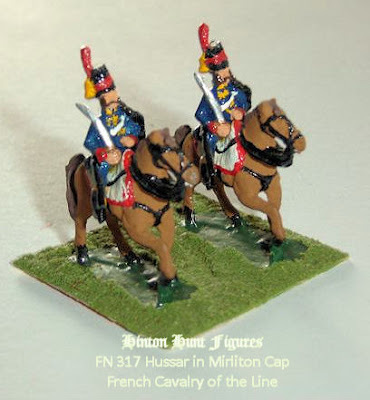 Newline might provide a whole new source for your 20mm Napoleonic collection. Hi Jon - Newline figures are lovely - if I were starting again, they might well be my supplier of choice - they are quite a lot smaller than most of my troops - I have some of their sailors (unpainted), which are nearer 1/72 scale, and the odd cannon, but the figures in general don't match mine.